The result of the latest confidence vote at 325 to 306 means only that she has survived an attempt by the opposition to oust her. Jeremy Corbyn has played the entire Brexit games of thrones competition badly – handing May new lifelines at almost every stage and falling into political traps against the will of his own party. As the Brexit debate continues to reduce the political options, it is almost undeniable where we are heading. In the end, there’s No-deal and a People’s Vote. Neither Theresa May nor Jeremy Corbyn are prepared publicly to accept either of them even though May is using the former option as a political weapon to bully parliament. At the moment, it is quite apparent that there is no majority either way for No-Deal or a People’s Vote. Many MPs have already ruled out both and the press is going with that. But like all things Brexit – soon they may have no choice and like Britain’s two-party state, MP’s will be put in the same position as the electorate usually are – choosing which of the two they find the least worst option. It is probable of course, that a delay to article 50 may take place as speculated by the mainstream media. As I have said before Theresa May, who ascended to No10 only after her predecessors’ appalling judgment – is an authoritarian. 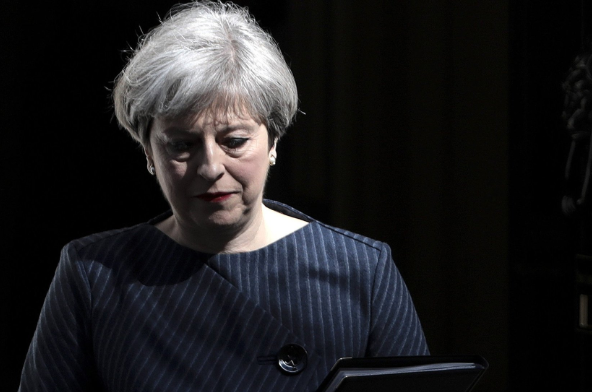 Only now as PM, she has consistently demonstrated this trait by working almost non-stop to undermine parliament by denying it votes, abusing certain statutory instruments, outright dismissing of opposition day motions, and ignoring its clear instructions. This is not democracy in action. It is using executive powers to bully and coerce. It’s her way or no way and now she is forced to say she will listen to others concerns – she won’t. Let’s not forget what we have in our PM. She lied about their ability to get a trade deal done in two years – all that has happened is resignation after resignation of those put in place to negotiate it. She lied about the nature of the transition period itself and about whether she would delay the vote on her deal. And let us not forget that she lied about not holding a snap election – that she then lost. The result to that was handing a billion or so of taxpayers money to a bunch of thugs in the form of the DUP. This is Theresa May’s modus operandi. What the mainstream media have not reported is what is going on in the background. As Jeremy Corbyn’s options keep running out – as he keeps playing the wrong card in the face of his own membership and party supporters, one thing is emerging. Jeremy Corbyn is no better a politician than the rest of them because he will do anything to get into power irrespective of the consequences to the country or his party. That is the only thing that Theresa May can really use – that he might just lose another snap election. So after a referendum, a snap election and then witnessing this national humiliation, the public could well be dragged back to the polling booths in yet another round of political lies, finger-pointing, identity politics and divisive accusations. God forgive us all for secretly thinking Guy Fawkes was merely ahead of his time! Read the full list of seats being prepared for an election below.